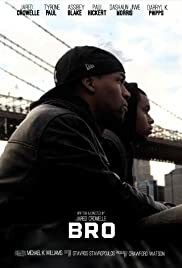 Bro is the story of Jamal and AJ, two brothers in NYC. Jamal returns home from prison to see a different world and a younger brother following in his footsteps. Their lives collide into a day they wont forget. Tyrone Paul Jr. ... A.J.